Thanks to a Creative Commons license from photographer Håkan Dahlström, I'm able to use his work in this blog post without violating his rights--or the law. With all of the talk recently about PIPA and SOPA legislation clamping down on a free internet, it’s a good time to review our rights as online student journalists as well as our responsibilities. Both laws aim to restrict copyright violations with comprehensive rules about what can and can’t be published/downloaded online. The criticism of these laws has been that they are TOO restrictive and would end up, allegedly, restricting free speech and legitimate criticism, parody and journalism. But what constitutes “fair use” when quoting writers, or posting images or video created by others? And conversely, how should you and your staff protect your intellectual property like short stories in a literary magazine, or photos shot by staff photographers? These resources give you some great guidelines for how and what to publish, especially regarding copyrighted material. Generally speaking, you’re usually in the clear if you use short excerpts rather than long ones, and if you use them for journalistic purposes only (like a film or music review, or parody in a political cartoon, for example). But each situation is unique, so be sure to consult these sources or even a lawyer if you’re unsure about how to proceed. This summer RTDNA posted a great guide to blogging and social media, which offers a lot of useful info for student journalists and advisers. An invaluable resource for all things legal when dealing with student journalism and free speech. 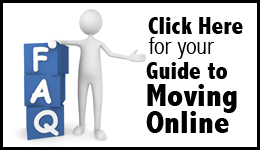 They have lots of online guides, including one on fair use and copyright, as well as access to lawyers that you can speak with when the going gets rough or your just want to be sure you’re doing the right thing. 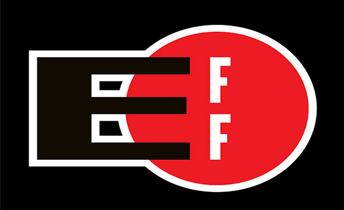 This organization fights for the protection of a free and open internet. They also have some useful resources including a Legal Guide for Bloggers which covers journalists as well as the average Joe Blogger. When your staff writes articles, posts photos, video or cartoons, you probably want to protect your unique, hard work and prevent others from using it without your permission or payment. Or maybe you want to share it with the world without restriction. Either way, that’s what Creative Commons allows you to do. You can choose the extent of protection for your intellectual property so that others may legally let use your work without fear of lawsuits, and spread your work beyond your original audience. No matter the situation, you should use sound news judgement to guide your decisions when choosing what and how to use someone else’s work: use first-hand sources, attribute your sources, and use only what you need to tell your story. When in doubt, consult with someone more knowledgeable, like the team at the Student Press Law Center. Thank you for the resources. I have two questions kinda. 2. Do we help people when we use Creative Commons photos? If yes, should we support our own group? Great questions, and a good starting point for a discussion with your staff. I always require my students to generate their own images and video footage, with the exception of when it is physically impossible to do so. For example, if they’re doing a story on a state or federal law and they need imagery of the capitol building, they would have to rely on others to get that footage or images because we don’t live in the state capitol or DC. In any case, it’s always a great idea (and ethically sound practice) to attribute footage, sounds, images or graphics that your staff did not create. To your second question, you might consider creating a staff photo pool on a service like Flickr where other staff can use those images. Perhaps there’s even a chance of creating a national or regional student journalism pool of images where others can use your content, licensed with something like Creative Commons. Thanks Michael. I wonder if Creative Commons would help with organizing. Maybe have a matadata tag for JEA, or perhaps this is a longer term JEA project.